Being an indie author is pretty darn cool most days. But then there are those days where you question everything. And by everything, I mean E-V-E-R-Y thing. Apparently I’m having one of those days today and I can’t help but think that life would be so much easier with a crystal ball. Heck, I’d take a Magic 8 ball at this point, but only if it’s the really girly pink one. When I have to make tough decisions, there’s always that whisper of self-doubt saying what if? And as much as I’d like to squash it, I’m only human. I worry, and obsess and probably drive my husband bat-shizz crazy throughout the decision-making process. Then I make the decision and worry some more. It’s just what I do. I had to act on a really tough decision today, one I’ve been obsessing (yes, obsessing) over for months to give up something I love. (How’s that for vague?) It was hard. Really. Hard. Hell, I’m still sweating it now. But I have to believe it’s for the best in the long run. Sometimes things just aren’t meant to be no matter how bad you want them and tough choices have to be made. It’s a fact of life– indie or otherwise. My only comfort? I’ve got a great support network to see me through! And that is what being indie is all about. So, now it’s vacation time for me and when I return, I’m fully committed to a renewed focus on my family and my writing. 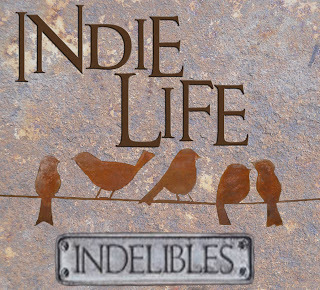 This entry was posted in indie, self-publishing, Writing and tagged Indie Life by J.J.Bonds. Bookmark the permalink. I’ve had to make some tough sacrifices too. The most recent was very easy, though, because I had to choose between writing and this other thing. There was no question about trying to have both. It was one or the other. It was kind of a relief to have the choice presented so clearly, because it made it easy to choose writing over that other thing. Have fun on your vacation, and good luck with the writing when you get back. Some decisions are hard! Hope yours turns out to be the right one, and brings you lots of happiness. Hi,I just wanted to let you know that I think you are an awesome writer. I read both crossroad books. I was wondering if you planned on any more books for this series? I really hope to see more of Crossroads as you put a fresh spin on vampires. Thanks for the hours of great reading! Oops hope you had a good vacation and I hope all went well with whatever you decided on giving up! Bat-SHIZZ cray, hey, good one! Most days the indie author experience is very cool. But it can be tough, and I relate to you having to give up other loves to focus. I put a rather successful art career on hold in order to pursue my love of writing. No regrets though. And I’m hoping to paint again one day.